The majority verdict judgement in the RIL-RNRL gas dispute case was delivered by Chief Justice K G Balakrishnan; Justice P Sathasivam reads out verdict. Supreme Court holds petition filed by RNRL before company court as maintainable, as court had sanctioned the original demerger scheme. 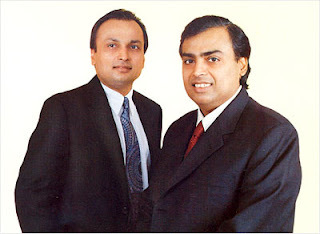 Ambani family MoU technically not binding, as it's between two brothers - Anil and Mukesh and mother Kokilaben, and three million shareholders of RIL-RNRL did not know its contents.